Plano Home - SOLD FAST &amp; TOP DOLLAR!! Beautiful 5 bedroom, 4 bathroom updated home in highly sought after Ridgeview Ranch! 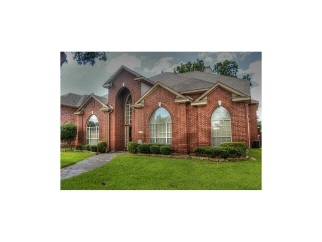 This amazing home has over 4,500 sqft, 2 bedrooms & 2 full baths down, 3 large living areas, elegant dining room, Large updated kitchen with granite counter tops, Porcelain tile in kitchen, updated wood flooring & title, huge media gameroom, custom executive study with soundproof glass, and a large fenced yard with a pool! Walking distance to Anderson Elemtary.